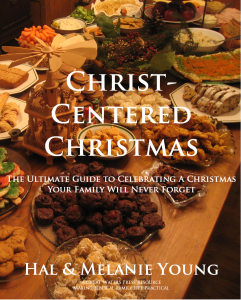 If you're still looking for ways to make the Christmas season memorable for your family, you might find some helpful ideas in Hal and Melanie Young's book, Christ-Centered Christmas. 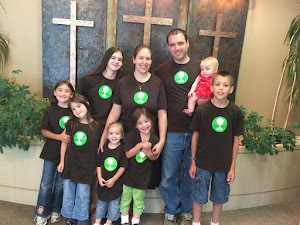 This is one family with whom I would love to share the Christmas season!! They know how to celebrate with food and song! Written in a personal, easy-to-read style, you'll find a smidgeon of this and a smidgeon of that that's sure to get you thinking about what types of traditions you can incorporate in your home to help you and your family stay focused on Christ throughout the Christmas season. Needless to say, it was a pleasure to read about how the Young family chooses to celebrate the birth of our Lord! It truly reminds me that one day, we will all be feasting together with our Savior and all who trust in Him!! The good gifts in this world are just a foretaste of what is to come! Thank you for sharing a small window of your lives with us, Hal and Melanie! If you'd like to read about the Young's family traditions, how they seek to keep Christ a the center of their celebrating, and how they use the Christmas season as an opportunity to reach out to others with the Gospel, you can find their e-book, Christ Centered Christmas on sale now for $5. *Many thanks to the Young's for providing me with a complimentary copy of their e-book in exchange for my honest opinion!